During the summer of 2008, our artistic director Marci Daniels and our graphic designer Tristan Denyer came up with our series of “word image” postcards and posters. The designs blend a series of words and distinct iconic images. 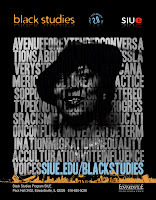 A venue for extended conversations about black studies, slavery, struggle, race, African American culture and practices, opportunity, masking, stereotype, knowledge, pride, progress, racism, nationalism, education, conflict, movement, determination, migration, inequalities, acculturation, vote, influence, and voices. 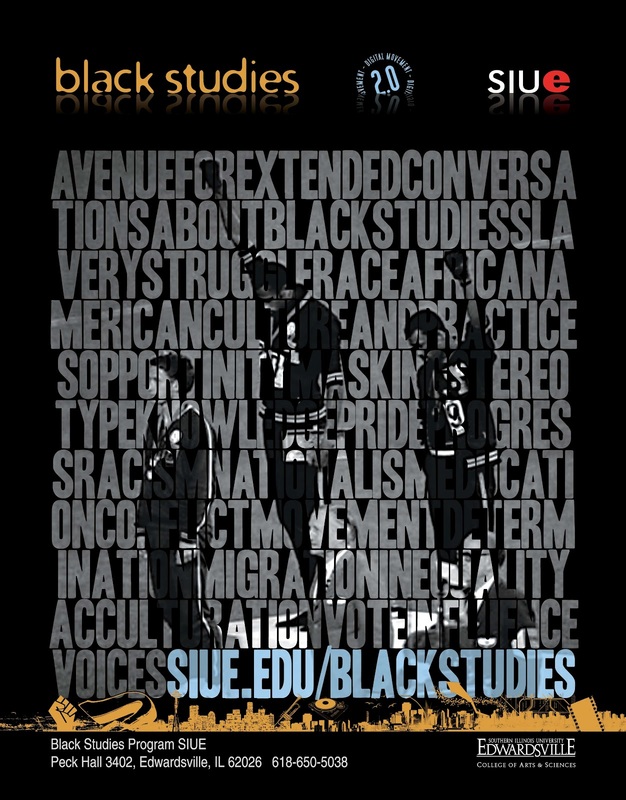 A year later when Marci and Tristan were envisioning new ways to publicize our black studies program, they returned to our short statement. They decided to merge the words from the statement with iconic images of Zora Neale Hurston, Miles Davis, Malcolm X, and the 1968 Olympics Black Power salute. The result was a compelling set of compositions that have become our program’s signature images. We later extended the series with compositions featuring Harriet Tubman, Frederick Douglass, and Barack Obama. Posters from the “word image” series have appeared in dozens of our exhibits over the years, and smaller versions have appeared on several black studies items. 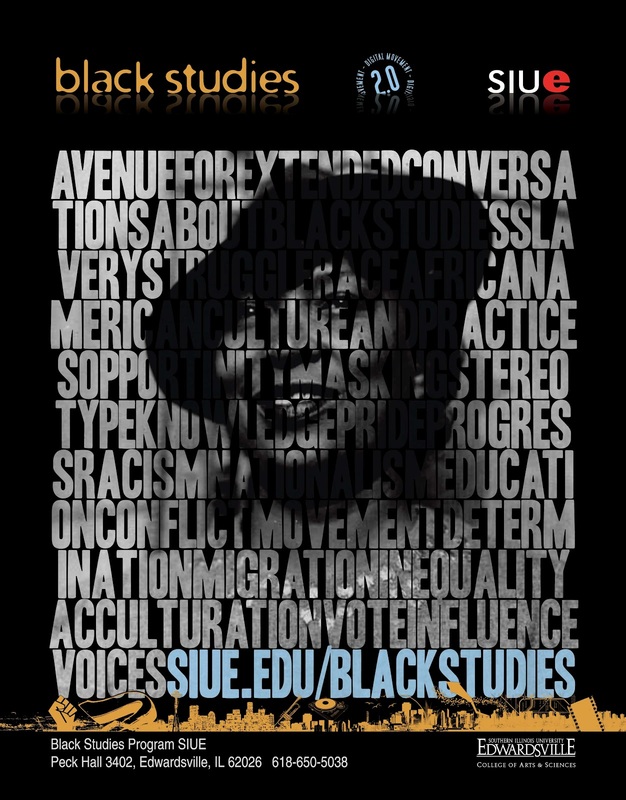 Marci and Tristan designed more than 100 black studies-related brochures, postcards, posters, and web materials over the years for our program. 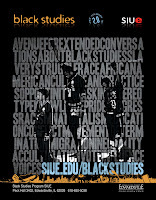 Their artistic and technological contributions made graphic design central to the practice and production of Black Studies @ SIUE.